Anonymous user sends 0.0002 BTC and pays 1.99 BTC in Fees! 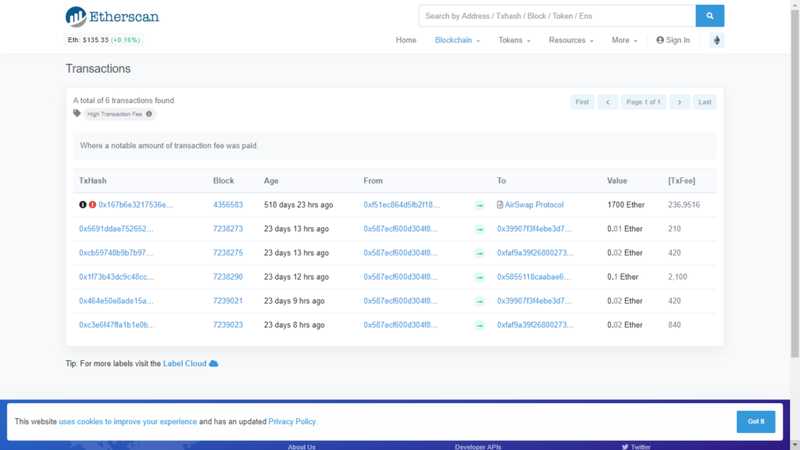 Some days ago, Ethereum World News reported that an anonymous user made several transactions from their personal wallet, with enormous fees. What at one point seemed to be a mistake soon gave rise to a strong debate after this practice was repeated several times throughout the day. On March 11, this unusual incident happened again, but this time with a Bitcoin (BTC) wallet, which sent less than a dollar in BTC, paying fees of near $7769. 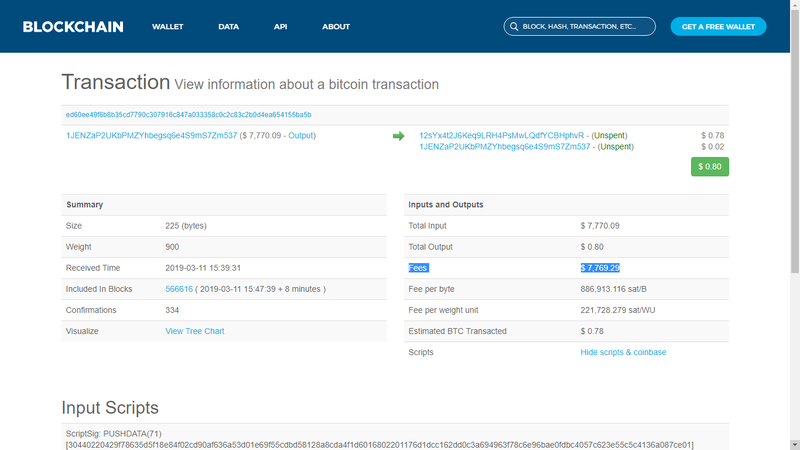 The information, available for verification in the block explorer of the Bitcoin (BTC) blockchain shows that the transaction comes from a wallet address with two movements: A deposit for that amount of money and a spend 10 minutes later with the extraordinary fee. Considering that there have been no further operations from this address, it is difficult to determine whether it was a mistake or if there is any motive behind these types of transactions. Precisely what raised suspicions in the series of identical activities carried out on the Ethereum network is that they came from the same wallet address. Doing a little more detailed monitoring, it is possible to detect that the address received the funds from the wallet 1G47mSr3oANXMafVr8UC4pzV7FEAzo3r9. This wallet is quite active (more than 367,000 transactions) with a current balance of 2.7 million dollars and near 400 million dollars of total funds moved, so it could be concluded that it was either funds withdrawn from some Exchange, or it was an error done by the staff of an Exchange in an internal movement. Some complex scheme of “money laundering” through the secret mining of a block containing the transaction with the exorbitant fees (not uploading it to the blockchain until it’s mined). In the case of the present transaction, and until there is evidence of more similar situations, it is very possible that it is a “human error” trying to pump up the fees without verifying the amounts. Please, if you are a user of cryptocurrencies, it is always worth the effort to spend a few seconds to check all the data of a transaction. Remember that in the world of cryptocurrencies, you are your own bank. The post Anonymous user sends 0.0002 BTC and pays 1.99 BTC in Fees! appeared first on Ethereum World News.